A Thought Shared ....: High Speed Food? 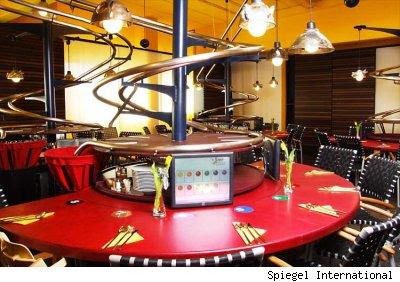 The idea is that you order your food using the 'touchscreen', pay with a 'pre-paid' plastic card, and then sit and wait for your meal to negotiate the 'helter skelter'. It would be interesting to see how this system copes with an order for a glass of iced water and slice of lemon! !